London – Wednesday August 17th, PwC has today announced a collaboration with Coursera, the largest ‘massive open online course’ [MOOC] platform in the world. Coursera is highly respected for the quality of their courses. PwC is amongst one of the first professional services networks to offer courses to their 208,000 employee strong workforce and to the general public on the Coursera platform. This relationship means that PwC can offer a series of widely available courses for anyone who could benefit from learning more about business analytics. Starting August 22nd, PwC's new “Data Analysis and Presentation Skills​​” course can be taken anytime, anywhere in the world thanks to Coursera's flexible learning platform. 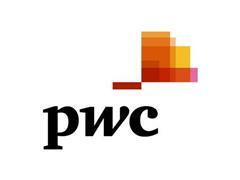 This collaboration will also allow PwC’s people to improve their internal learning and development. Coursera is an education platform that partners with top universities and organizations worldwide, to offer courses online for anyone to take. These free-to-enroll courses allows you to get a qualification at any time or anywhere thanks to them providing universal access to the world’s best education.